Christmas is a holiday that is celebrated all around the world. This special holiday is on December 25. People do many different things during Christmas. Most children write letters and wish lists to Santa Claus, a person who is believed to send gifts to children. On the list or letters, they write down what they most desire, hoping that they would get their presents. It is also believed that Santa had a good and bad list. If you were on the good list, you would get what you want, but if you were on the bad list, you might get coal in your stocking! There are many decorations put up for Christmas. One decoration that everyone puts up is the Christmas Tree, a fir tree. They put ornaments, or different colored balls up onto the tree and cap it with a shining star on top! Families also hang up stockings, which look like a big sock, and presents in them in time for Christmas day. 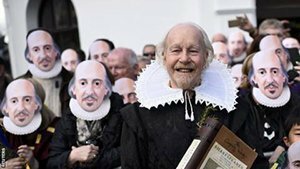 Shakespeare is a day celebrated in England (UK.) This day happens on April 23 and is in the honor of the brilliant playwright and poet. He wrote many plays – tragedies, comedies and histories. Two of the most famous tragedies that William Shakespeare wrote are Romeo and Juliet and Hamlet. An example of a comedy that he wrote is Midsummer’s Night’s Dream. During this special day of the year, pageants are held where Shakespeare was born. Tourists go to see his plays reenacted in traditional form. Every year, a church and a mayor leads a procession to put flowers on his grave. Bands, actors, dancers, staffs, and some schools attend this procession in honor of this acclaimed writer. Chinese New Year is a traditional holiday celebrated by countries in Asia, including Taiwan, at the beginning of the Chinese calendar. During this time of year, families gather together and eat. There are some specific types of food that they eat because there are some ‘sayings’ about particular dishes and ingredients. These ‘sayings’ are about luckiness and prosperity. Some types of food that might be eaten or given to others are fish, oranges and apples. During this time of the year, children receive red envelopes – little red paper ‘bags’ that have money inside them. Curiously, there is a belief that a monster would come out at this time of the year, so firecrackers were used to make loud noises (believed to scare monsters away). Additionally, people would stick pieces of red papers with calligraphy on them to ward away the evil spirits. Golden Week is a week celebrated by Japanese people. It is a week where there are many national holidays, so therefore employees just get work off for one whole week! This week starts on April 29, which is a national holiday, when Emperor Showa was born. This Emperor died in 1989. This exceptional day is now celebrated kind as a kind of “Earth Day,” where people appreciate nature. May 1st is also known as May Day. Even though this is not a national holiday, it is customary for businesses to give their employees the day off. On May 3rd, it is Constitutional Memorial Day. The current constitution came into effect in 1947. Everybody gets a day off during this day to mark what is the Japanese equivalent of the American ‘Independence Day’. On May 4th, isn’t really a national holiday either. However, since it is sandwiched between two breaks, people tend to just get an extra day off. The week is rounded off with May 5th: Children’s Day. It is a unique event when people pray for the health, growth, and happiness of children. 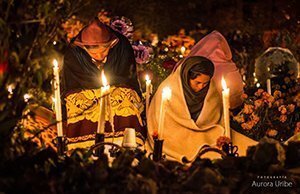 Day of the Dead can be celebrated in many places, but Mexico’s celebration is extra unique. This holiday starts on November 1st to November 2nd. During these two days, the people in Mexico go into graveyards to honor the dead with costumes and memorials. The tradition is to light candles at the graveyards. Some people even spend the whole night there! This holiday comes from the Aztec’s belief that the deceased would come to earth one day each year.